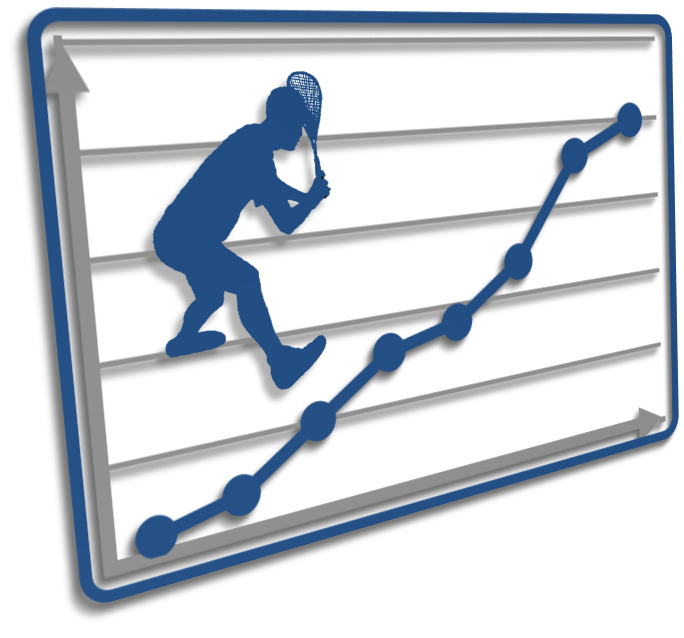 SquashLevels offers a great deal of interesting and fun information about your own and other player's results on the system so to give you a flavour of what you can find, here are some links to try out. Many of them work fine without you being logged in but some do need to know who you are to work properly. To use this page, just click on the appropriate link and then use 'back-page' to return here again. We've never had an absolute scale to compare men with women before - in any sport. Now we can see just how good the top female players are and compare. Now we can compare, we can combine the listings. Have a guess where Nicol David would be in the men's rankings before you hit the button! With an accurate assessment of level, we can estimate how a match between two players might work out. How do you think Nicol David would get on against Ramy Ashour? Hit the button to find out. Use this page to try some other virtual matches. It depends on the county... and there are always a few pros at the top but how good are the best of the non-pro county players? The button above takes you to the Surrey listings - minus the pros - as an example. They're a strong county. SquashLevels records age group based on the results that come in so it's usually possible to pull out a ranking for any age group. This list shows the junior rankings for Avon. You can cut the data in almost any way on SquashLevels and finding out your local club's rankings is just an exmaple of that. Try this link. You can also cut the data by country so we can generate on-the-fly England rankings. Note that these rankings are based on how well the players are playing at the moment rather than using the traditional 'tournament progression' method but they generally are a very good indicator of what the England rankings will be - if we had them. Full player histories are only a click away. If you find a player in any of the listing you're interested in then just click on their name. Here's an ex-pro picked at random. Look for the different sections of information; player information, graph of level over time, results summary and results history. You might have noticed the buttons at the top of the player history pages. These take you back to the player's page on that system so you can find more about them or their history. This player has more than one source. If you follow the Leaguemaster link, you'll notice links in the Leaguemaster player page (bottom right) that take you back to the player specific pages on SquashLevels. These are the player history page and also the appropriate club and county rankings pages with the player highlighted. Feel free to try these links - these are all live systems. This is an example of a fully integrated community system. If you look at the results history for a player you'll see that each match results in a change to their level based on the match scores and the level of their opponent. If you click on the percentage change numbers, that will take you to a page explaining exactly why their level has changed by that amount. This button takes you to an example of that. Want to see who's improving fastest at your club? We've got the data and the page to tell you. Here's another club picked at random. You can run your boxes on SquashLevels if you want. Have a look at this example. If you'd like to stay with your current boxes (internal leagues) system then that's fine too. Just ask your system supplier to get in touch with us about joining the community and we'll be able to pull your results across and include your data in SquashLevels. Everything you need to know is under 'Community->Join up' at the top of this page. Ever wondered how the different leagues across the country compare? For instance, are the players in Kent better than the players in Surrey? How contentious - and interesting - is that? With results from leagues across the country on the same system AND an automatic calibration system that ensures a 1000 level player in one county is the same standard as a 1000 level player in any other county, we can compare! Click on the button and see. Did you know that England Squash & Racketball are measured on player participation? With all the data on SquashLevels we can see how many players are taking part in our sport and whether they're team players, box players or just casual players. These charts show very interesting trends for clubs, counties and even across the whole country. SquashLevels generates reports for England Squash that they can use to measure success of their initiatives. Click on the button above to see the sort of data we can make available. Clever as SquashLevels is, it's not much use without the many systems that upload their results to it. There is a community of inter-linked squash-related systems that work together - for you. So, kudos to those systems and we have a page dedicated to making them visible to you. If your league system isn't connected to SquashLevels then either ask them to work with us (we're glad to help) or maybe switch to a system that is. Always your choice. If you've made it this far then congratulations! Glad to have kept your interest this far. We're sure you'll still have a ton of questions though and that's where the FAQ page comes in. Always available under 'About' at the top but the button above will also get you straight there. If you still have questions then please get in touch and we'll be glad to answer them. And finally... for the geeks amongst us who are inerested in what the data looks like when the systems talk to each other over the internet... It's really no more than a fancy text format that the systems can understand but it's interesting to see what it looks like. Sort of. Fasten your anorak and click the button above. SquashLevels website, code and player level algorithms © 2006-2019, SquashLevels Ltd. Page time: 4.21s.